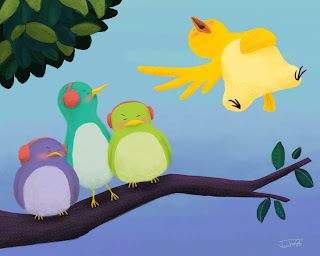 Wow a first post this year... and it's almost April :/ Didn't realize I was absent for that long.. Well here's finally a little something: Another singing bird (like my last post!) but wasn't intentional! I must love singing birds then :) I drew this based on a word "loud".